The association with Herman’s Young Thundering Herd was the start of Smulyan’s career as a baritone saxophonist that has been going on for almost forty years. Among many other endeavors, Smulyan played in the Mel Lewis Orchestra, the Vanguard Jazz Orchestra and cooperated with Freddie Hubbard, Dizzy Gillespie, Stan Getz and George Coleman, and records prolifically as a leader. A regular winner of the Downbeat Reader’s and Critic’s Poll and Grammy Awards, Smulyan is the to-go-to baritone saxophonist on the scene today. First it was Pepper, now Gary Smulyan is the all-round master. Ooh, ooh, ooh, what a little phone call can do to you. 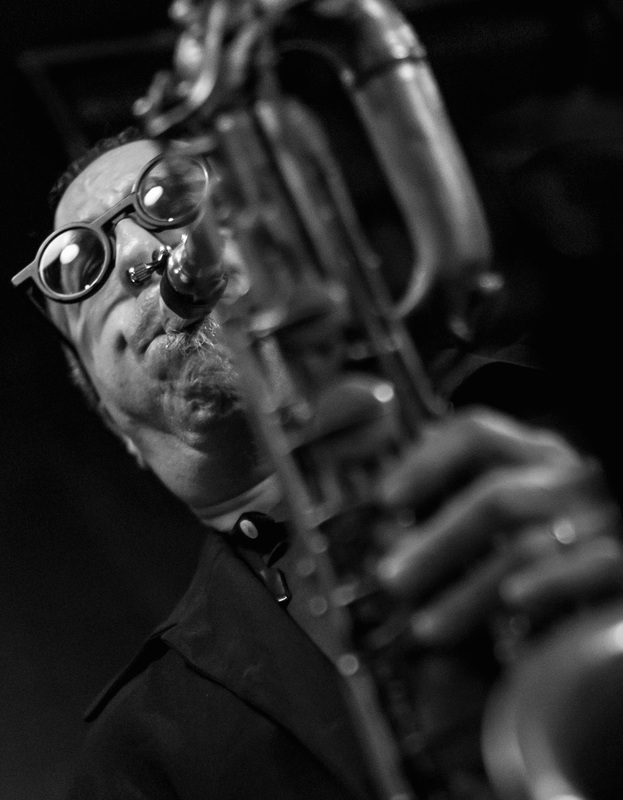 Gary Smulyan is the most sought-after baritone saxophonist in jazz today. A five-time winner of the Downbeat Critic’s and Reader’s Poll and a six-time winner of the Grammy Award, Smulyan has built a sizable and diverse resume as a leading recording artist and been a long-serving member of The Mel Lewis Orchestra, Mingus Big Band, Dave Holland Octet and Big Band and the Vanguard Jazz Orchestra, as well as the bands of soul and blues giants Ray Charles and B.B. King. Smulyan has cooperated with, among others, Gerald Wilson, Tommy Flanagan, Jimmy Knepper, George Coleman, Joe Lovano, Tom Harrell, Bob Belden, Christian McBride and Mike LeDonne. Smulyan is a faculty member at Amherst College, Massachusetts and teaches at Manhattan School Of Music, NYC. Gary Smulyan’s latest release, Royalty At Le Duc, was released in January 2017 by Sunnyside Records. Find here. Go to Gary Smulyan’s website here.